A brilliant installation that combines my two favorite things – Art and the Beach. Miami based performance artist Misael Soto is touring his giant terrycloth beach towel up the east coast, and will be installed in New York’s Rockaway Beach on Saturday, August 11, 2012. 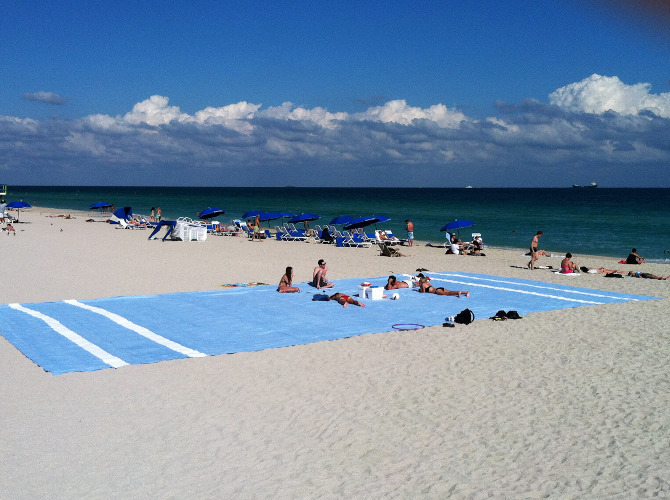 Measuring 17x 9 meters (56 x 29 feet) Soto’s Beach Towel becomes a collective space inviting beach-goers to share the towel and the communal space in this interactive art experience. wow! great blog site Ashley!! Love it! !